The Music Box with Mark Randle on Starpoint Radio!! 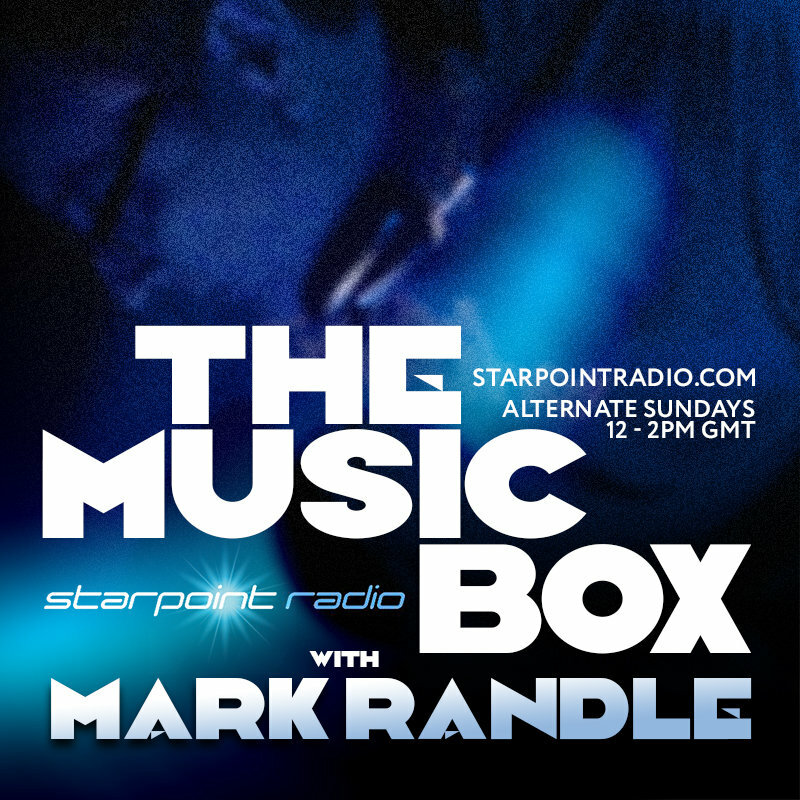 Just to let you know that my Starpoint Radio show "The Music Box" returns tomorrow and then every other Sunday. From retro styled new releases right through to the latest contemporary beats!! Hope some of you who have a penchant for the newer stuff can join me! The Music Box Sunday 9th September folks, with the usual two listening options! Just a heads up that it's my turn in the hot-seat again today......12-2pm www.starpointradio.com. Available via DAB, Tune-In app (available on your Smartphone and Smart TV too!) and the good old fashioned interweb. Some soul with your Sunday roast! My show for Sunday 14 October folks. Yes, I know I said it would be Sunday 7 October but things didn't go to plan! My show for Sunday 9 December folks. I'll be back on Sunday 23 December 12-2pm GMT, where if I can get my ducks in a row we will broadcast LIVE!! and maybe do something a little different musically as we head full-steam into the festive season! My show broadcast LIVE!! on Sunday 23 December folks. I'll be back on Sunday 6 January 12-2pm GMT. Wishing you all a very Happy Christmas and a healthy & prosperous 2019. My show broadcast LIVE!! on Sunday 6 January folks. I'll be back on Sunday 20 January 12-2pm GMT. Thought I would drop by and add a playlist for a change! My show broadcast LIVE!! on Sunday 20 January folks. I'll be back on Sunday 3 February 12-2pm GMT. My show broadcast on Sunday 3 February folks. A pre-record this time out due to family commitments, should be back LIVE!! on Sunday 17 February 12-2pm GMT. My show broadcast LIVE!! on Sunday 17 February folks. I'll be back on Sunday 3 March 12-2pm GMT. My show broadcast LIVE!! on Sunday 20 January folks. Cheers Martin, pretty good isn't it? Alex Di Cio is on Facebook if you want to connect with him. As I recall, there were x4 good tracks on this EP. I knew it was a remake but not of Randy Edelman! Cheers for info Martin! Thanks for your interest in the show sir! My show broadcast LIVE!! on Sunday 3 March folks. I'll be back on Sunday 17 March 12-2pm GMT. My show broadcast LIVE!! on Sunday 17 March folks. I'll be back next Sunday 24 March 12-2pm GMT covering for Paul Stuart. My special show broadcast LIVE!! on Sunday 24 March folks, as I stood in for Paul Stuart. Hour one the usual new and recent releases across the styles and tempo's, hour two a personal musical look back at 17 years of Prestatyn Weekenders. I'll be back next Sunday 31 March 12-2pm GMT with the regular Music Box show. My show broadcast LIVE!! on Sunday 31 March folks. I'll be back on Sunday 14 April 12-2pm GMT. My show broadcast LIVE!! on Sunday 14 April folks. I'll be back on Sunday 28 April 12-2pm GMT.